Transfer Cars are also called as Transfer Car is also available with furnace charging machine which is used for charging purpose in furnace. Our transfer cars are widely acknowledged for their capacity to bear considerable weight with ease and are constructed considering the amount of heat given to the ladles. Very high quality raw materials are used for manufacturing of our transfer cars. 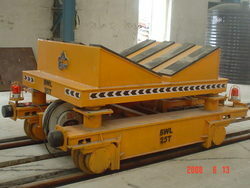 These Industrial Transfer Cars are widely used for transportation of finished products and raw material. 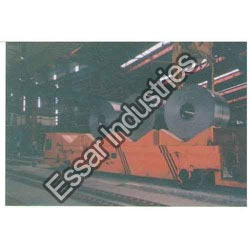 We have full devout in manufacturing and trading superior quality Coil Transfer Car. Widely used in manufacturing units for their durability and easy to operate attribute, these cars are designed as per latest industrial norms. Prior to their supply to customers, these cars are quality-tested at our firm by skilled expertise with the adamant approach for ensuring their long-life functionality. We offer Battery Operated Transfer Car. These cars are battery operated with completely self-contained battery recharging unit. 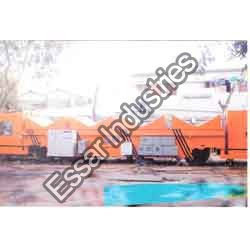 With the fabrication being done with the use of superior quality material and new age technology, these transfer cars are sturdy and possess user-friendly operationality. 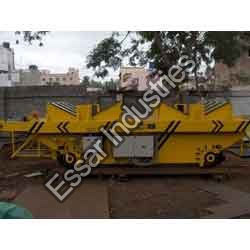 Furthermore, we have with us wide specifications of these machines for supply to customers as per their precise demands. Versatile design with fraction battery operated drive system and D.C control unit for smooth traction. The use of traction cables and trenches eliminated. 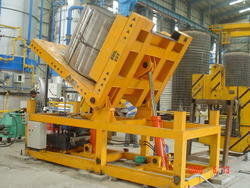 Capacity up to 30 Tons. 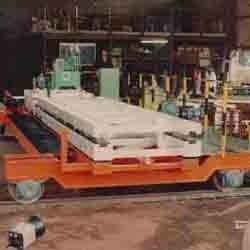 We have full devotion in manufacturing and trading highly functional Motorized Transfer Cars. These cars are known in the market for superior strength and precise design traits which make them ideal for carrying effective material handling operations. Our designed and fabricated cars are available with us in varied stipulations for serving variegated needs of customers. In addition to this, we make the supply of these products in tamper-proof packaging at budget-friendly rates. Looking for Transfer Cars ?